STUDIO 45 is North London’s New Premier Dance Studios. STUDIO 45 London has brand new premises at 115a Brunswick Park Road and we would like to tell you a little bit about us. STUDIO 45 is the place to be for all Ballroom and Latin American dance lessons. Beginners and Intermediate stage lessons are available for both ballroom and Latin American routines. Fully choreographed routines for jive, cha cha cha, tango, waltz, foxtrot, quickstep, rumba and samba are taught to students. All dance students will benefit from fully sprung dance floors, full length mirrors and a state of the art sound system. Private lessons and wedding dance packages are also available for purchase. Beginners and Intermediate Classes are £5 per person. The STUDIO 45 studios are also available for hire at highly competitive rates. Our largest studio is an impressive 140 sq. meters and has a ceiling height of 3.5 metres. 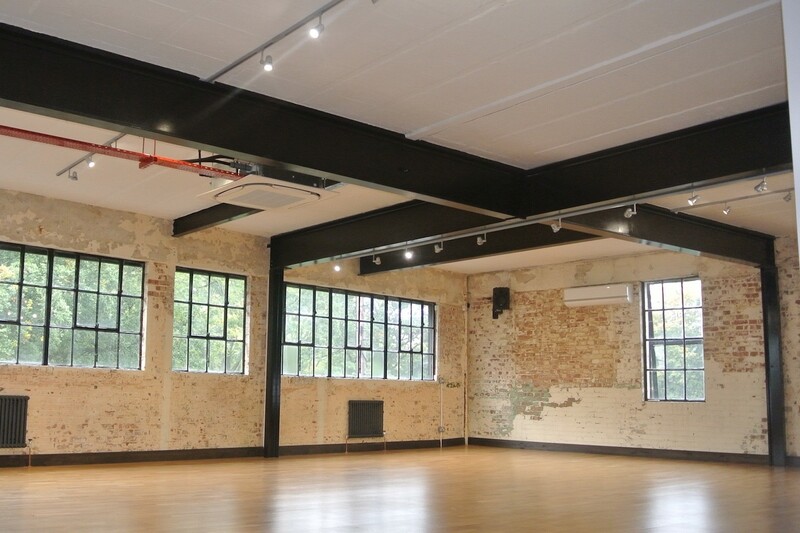 The studio space is suitable for dancers, yoga, castings, photoshoots and many other uses. Rob & Jayne first started dancing professionally together in 2007. After teaching on an ad hoc basis, they built their first dance studio together in 2009 in Kentish Town and eventually expanded to two studios. Six years on, Rob and Jayne have moved location and have built three state of the art dance studios at a brand new location in North London, at 115A Brunswick Park Road, London, N11 1EA. Rob is a fully qualified dance teacher and is registered with the Imperial Society of Teachers of Dance (ISTD). For all enquiries relating to either studio hire or dance lessons at Studio 45 London, please contact Rob on 07786 622 021 or by email at roborsi@aol.com. Copyright © 2019 studio45.london. All Rights Reserved. Designed by bavotasan.com.